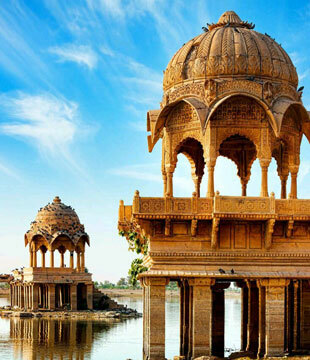 Jaisalmer is a major traveler destination of India. The city commands elite position among the sightseeing opportunities spread all over the desert area of Rajasthan. 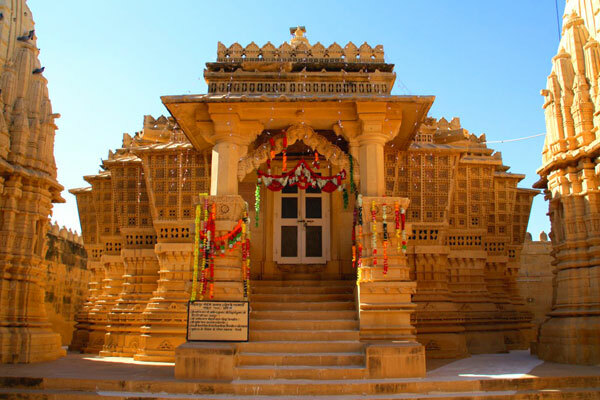 Jaisalmer is a favorite tourist and leisure destination of Indians as well as foreign visitors. 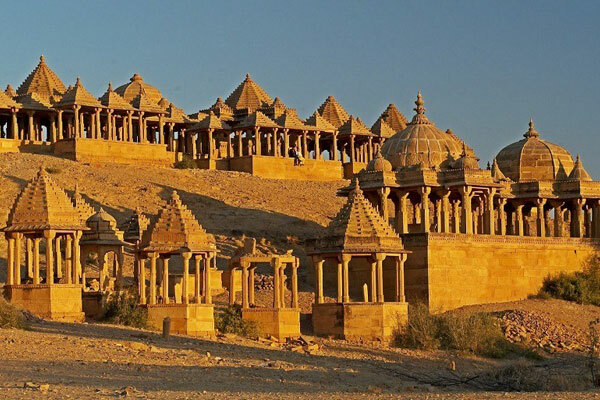 Jaisalmer is in the the center of the Thar Desert in Rajasthan, full of colors of history and structural splendours. A city where friendship and relations is above all, where business means understanding each other needs and helping the community. Come to see what love and beauty is all about. 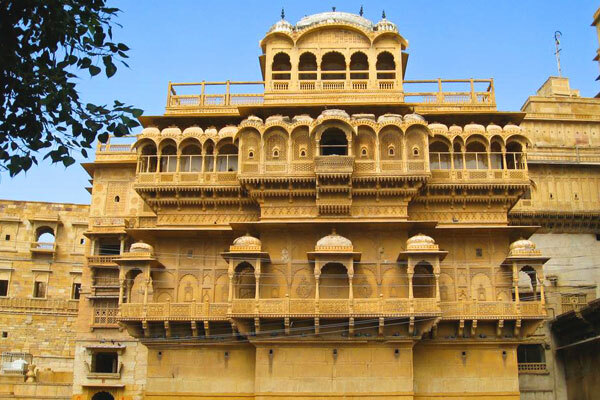 Travelling Jaisalmer is a splendid experience for the visitor, consisting of outstanding Jaisalmer forts and the havelis, hanging around the paths and by-lanes of the small town, an exciting drive on the camel and hiking outdoors in the desert. 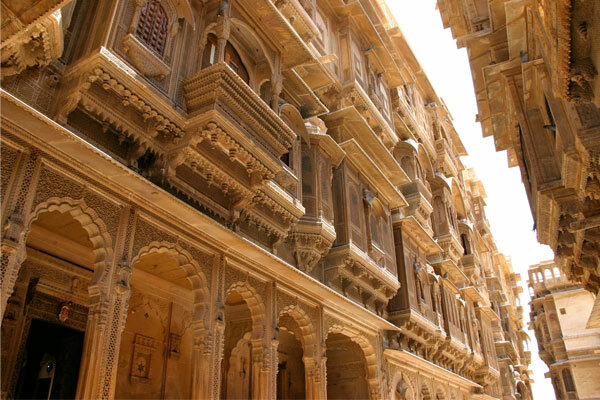 Jaisalmer is built out of Golden Sandstone where each house has beautiful intricately carved facades narrow alleys cobbled streets short doors and open courtyards. The most photogenic town most famous among architects , A city where the Stones speaks. 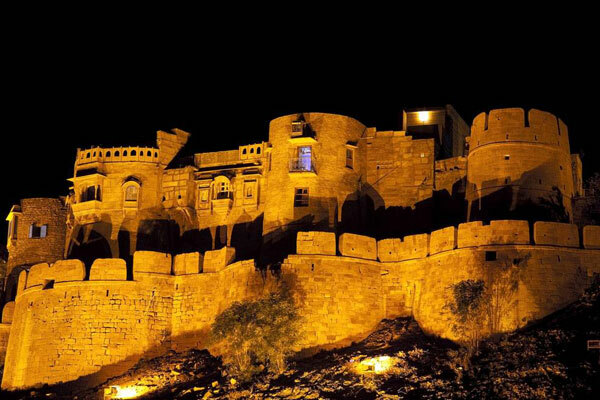 The Jaisalmer Fort also goes by the name Sonar Quila (Golden Fort) as it rises from the desert itself and seems to become one with the golden hues of the sand. The setting sun adds its own magic and shrouds the fort with mystique. The fort is constructed in the classic style of the royals by local craftsmen. Inside the for,Sarvotam Vilas Rang Mahal ,Moti mahal and Sheesh Mahal all are very important from an artistic point of view.Along with these places a separate palace was built for queens ,called Rani Niwas.Alarge segment of this palace is now converted into a museum which provides possible knowledge associated with bhati Rajputs. 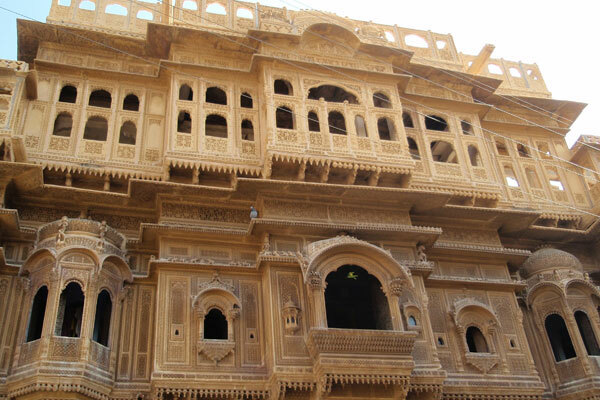 This Nathmal Ji ki haveli was commissioned to serve as the residence of Diwan Mohata Nathmal, the then Prime Minister of Jaisalmer. Maharawal Beri Sal commissioned the construction of this Haveli. The architects of this haveli were Hathi and Lulu who happened to be brothers.th-century home. 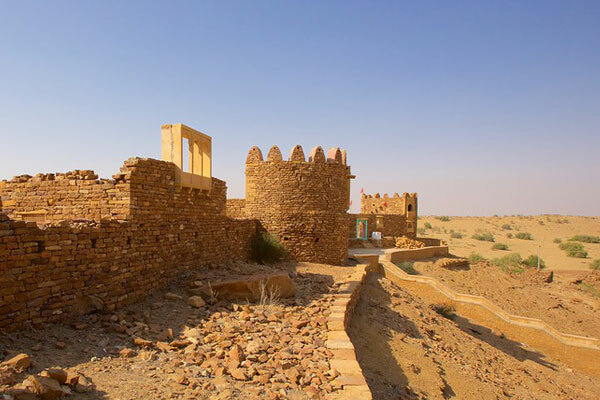 Khaba Fort is a ruined citadel set amid a barren desert village. It’s an architecturally impressive landmark full of eeriness, history and mysticism. Wander the dusty streets lined with crumbling houses and almost devoid of human activity, Khaba Fort. 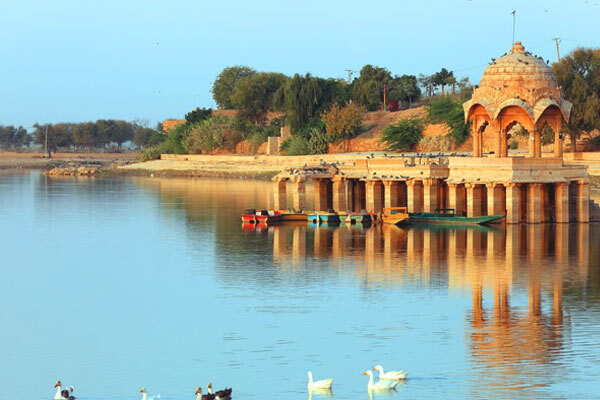 Gadsisar Lake is one of the major tourist attractions of Jaisalmer. Just leave the madding crowd behind and venture towards the outskirts and you will find yourself next to the famous Gadsisar Lake. Contrary to the popular belief, it is not an oasis but a water conservation tank made around 1400 A.D. by the then maharaja of Jaisalmer. 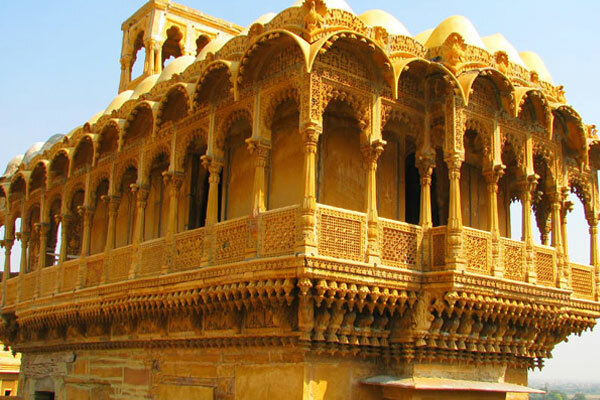 Vyas Chhatri is also referred to in the city as Sunset Point as it gives you a wonderful view of picturesque Jaisalmer at sundown. The Sunset point over Sooli Dongri is a big hit with tourists and is definitely worth making a trip to if you want a bird’s eye view of Jaisalmer and its adjoining areas. Bada Bagh, which literally means 'Big Garden' is located on the Ramgarh road. It was commissioned by Maharawal Jait Singh in the early 16th century and completed by his son Lunakaran after his death. The site has three different things to watch, a garden, a tank and a dam. In the vicinity itself you will find Govardhan Stambh pillar. 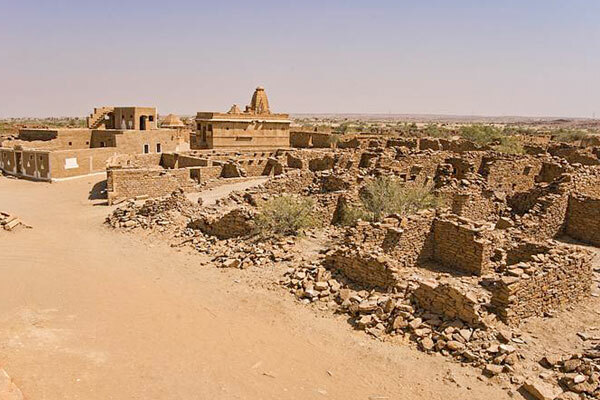 Kuldhara is an abandoned village in the Jaisalmer district of Rajasthan, India. Established around 13th century, it was once a prosperous village inhabited by Paliwal Brahmins. It was abandoned by the early 19th century for unknown reasons, possibly because of dwindling water supply. 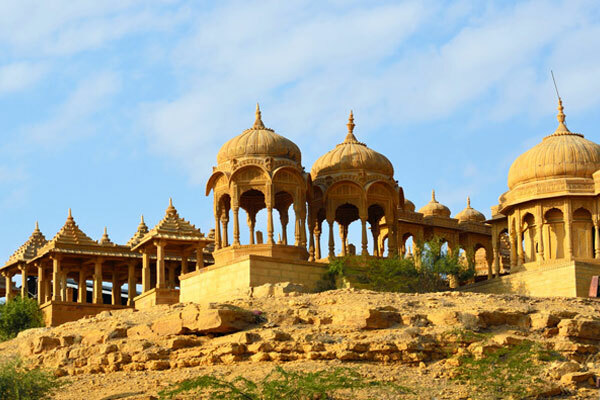 Lodurva is the ancient capital of Bhattis Rajputs and was once a flourishing city but lost most of the splendor when the Bhattis shifted their capital to Jaisalmer. Nevertheless this place is a major tourist attraction and attracts a lot of attention due to ruins of Jain temples.